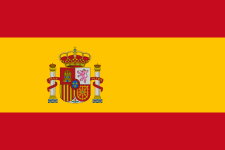 The 1984–85 Copa del Rey was the 83rd staging of the Spanish Cup, the annual domestic football cup competition in Spain. The tournament was attended by 142 teams from the higher echelons of Spanish football. The tournament began on 12 September 1984 and ended on 30 June 1985 with the final, held in Santiago Bernabéu Stadium, in Madrid. The final was played at Athletic Bilbao (the defending champion of the tournament), and Atletico de Madrid. The match ended with a score of 1-2 in favor to the team from the capital, with Hugo Sánchez as the star, scoring two goals. With this victory Atletico de Madrid won their sixth trophy cup, the fourth team with more titles in this competition. (*) Teams playing European competition / Athletic Bilbao, Atlético de Madrid, FC Barcelona, Real Betis, Real Valladolid Deportivo started the tournament in the second round. UD Güímar 2 – 2 (p) CD Mensajero 19 Sep 1984 2 - 1 3 Oct 1984 1 - 0 Penalties: 4 - 5 for UD Güímar. CD Ilicitano 2 – 2 (p) Torrevieja CF 19 Sep 1984 2 - 1 3 Oct 1984 1 - 0 Penalties: x - x for CD Ilicitano. Sevilla Atlético 2 – 4 Atlético Sanluqueño CF 19 Sep 1984 2 - 1 Rep. 3 Oct 1984 3 - 0 Rep.
Villanueva del Arzobispo CF 1 – 1 (p) CD Iliturgi 19 Sep 1984 1 - 0 3 Oct 1984 1 - 0 Penalties: x - x for CD Iliturgi - played on Oct 4 due to lack of visibility. 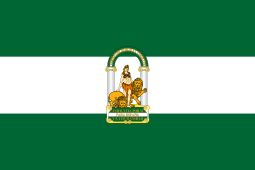 CF Badalona 1 – 2 EC Granollers 20 Sep 1984 1 - 0 Rep. 4 Oct 1984 2 - 0 Rep.
Yeclano CF 1 – 8 Real Murcia CF 26 Sep 1984 1 - 0 Rep. 3 Oct 1984 8 - 0 Rep.
Betis Deportivo 4 – 3 Algeciras CF 26 Sep 1984 3 - 1 Rep. 10 Oct 1984 2 - 1 Rep.
CD Mestalla 4 – 6 CD Castellón 26 Sep 1984 2 - 1 9 Oct 1984 5 - 2 Rep.
Coria CF 1 – 4 Cádiz CF 26 Sep 1984 0 - 2 Rep. 3 Oct 1984 2 - 1 Rep. 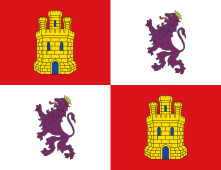 Cultural Durango 1 – 5 Real Sociedad 2 Oct 1984 1 - 3 Rep. 24 Oct 1984 2 - 0 Rep.
CD Numancia 2 – 10 CA Osasuna 2 Oct 1984 1 - 3 Rep. 24 Oct 1984 7 - 1 Rep.
Gimnástica de Torrelavega 1 – 7 Racing de Santander 3 Oct 1984 1 - 1 Rep. 24 Oct 1984 6 - 0 Rep.
Xerez CD 3 – 6 Sevilla FC 3 Oct 1984 2 - 5 Rep. 24 Oct 1984 1 - 1 Rep.
Atlético Marbella 2 – 5 CD Málaga 3 Oct 1984 0 - 1 Rep. 24 Oct 1984 4 - 2 Rep.
Hércules CF 8 – 3 CD Eldense 3 Oct 1984 6 - 0 Rep. 24 Oct 1984 3 - 2 Rep.
CD Binéfar 1 – 5 Real Zaragoza 3 Oct 1984 0 - 2 Rep. 24 Oct 1984 3 - 1 Rep.
Club Siero 1 – 18 Sporting de Gijón 3 Oct 1984 1 - 6 Rep. 25 Oct 1984 12 - 0 Rep. Match scheduled for Oct 4, but played on Oct 5 due to a strike in the city of Gijón. Barcelona Amateur 0 – 1 CE Sabadell FC 3 Oct 1984 0 - 0 Rep. 24 Oct 1984 1 - 0 Rep.
Deportivo de La Coruña 1 – 1 (p) Gran Peña Celtista 3 Oct 1984 1 - 0 17 Oct 1984 1 - 0 Penalties: 1 - 3 for Deportivo de La Coruña. CD Torre Pacheco 1 – 12 Elche CF 3 Oct 1984 0 - 4 Rep. 24 Oct 1984 8 - 1 Rep.
CD Mairena 1 – 3 Recreativo de Huelva 3 Oct 1984 1 - 0 Rep. 24 Oct 1984 3 - 0 Rep.
FC Andorra 5 – 2 UE Sant Andreu 3 Oct 1984 3 - 1 Rep. 24 Oct 1984 1 - 2 Rep.
CF Lloret 1 – 3 UE Lleida 3 Oct 1984 1 - 0 Rep. 24 Oct 1984 3 - 0 Rep.
Orihuela Deportiva CF 1 – 1 (p) CF Lorca Deportiva 3 Oct 1984 1 - 1 24 Oct 1984 0 - 0 Penalties: 6 - 5 for CF Lorca Deportiva. CD Europa 1 – 6 RCD Espanyol 4 Oct 1984 0 - 3 Rep. 16 Oct 1984 3 - 1 Rep.
Gimnàstic de Tarragona 2 – 3 FC Barcelona Atlètic 4 Oct 1984 1 - 2 Rep. 24 Oct 1984 1 - 1 Rep.
CD Burriana 2 – 7 Valencia CF 9 Oct 1984 2 - 4 Rep. 24 Oct 1984 3 - 1 Rep.
Bye: CD Constància, Real Oviedo Aficionados, UE Figueres, CF Extremadura, CD Corellano, UD Alzira, Athletic Bilbao, Atlético de Madrid, FC Barcelona, Real Betis, Real Madrid CF, Real Valladolid Deportivo. AD Parla 4 – 8 Atlético de Madrid 7 Nov 1984 2 - 3 Rep. 14 Nov 1984 5 - 2 Rep.
Real Betis 3 – 1 Recreativo de Huelva 7 Nov 1984 3 - 1 Rep. 28 Nov 1984 0 - 0 Rep.
Real Valladolid Deportivo 4 – 2 UD Salamanca 7 Nov 1984 1 - 1 Rep. 28 Nov 1984 1 - 3 Rep.
Sestao SC 4 – 2 Racing de Santander 7 Nov 1984 0 - 0 Rep. 28 Nov 1984 1 - 2 Rep.
FC Andorra 0 – 2 RCD Espanyol 7 Nov 1984 0 - 1 Rep. 28 Nov 1984 1 - 0 Rep.
CD Arnedo 0 – 6 Real Zaragoza 7 Nov 1984 0 - 1 Rep. 28 Nov 1984 5 - 0 Rep.
Albacete Balompié 2 – 3 (aet) Hércules CF 7 Nov 1984 1 - 1 Rep. 28 Nov 1984 2 - 1 Rep.
CD Iliturgi 0 – 2 CD Málaga 7 Nov 1984 0 - 0 Rep. 28 Nov 1984 2 - 0 Rep.
Endesa Andorra 2 – 4 CA Osasuna 7 Nov 1984 1 - 0 Rep. 28 Nov 1984 4 - 0 Rep.
SD Eibar 2 – 6 Athletic Bilbao 7 Nov 1984 1 - 1 Rep. 13 Nov 1984 5 - 1 Rep.
Real Oviedo Aficionados 0 – 6 Sporting de Gijón 7 Nov 1984 0 - 1 Rep. 13 Nov 1984 5 - 0 Rep.
Atlético Sanluqueño CF 0 – 2 Sevilla FC 7 Nov 1984 0 - 0 Rep. 28 Nov 1984 2 - 0 Rep.
Levante UD 2 – 6 Valencia CF 7 Nov 1984 1 - 4 Rep. 28 Nov 1984 2 - 1 Rep.
UE Lleida 3 – 7 FC Barcelona 7 Nov 1984 3 - 1 Rep. 27 Nov 1984 6 - 0 Rep.
UE Figueres 2 – 3 CE Sabadell FC 7 Nov 1984 1 - 3 Rep. 28 Nov 1984 0 - 1 Rep.
Cádiz CF 5 – 1 Betis Deportivo 7 Nov 1984 2 - 0 Rep. 28 Nov 1984 1 - 3 Rep.
FC Barcelona Atlètic 4 – 2 EC Granollers 7 Nov 1984 3 - 2 Rep. 28 Nov 1984 0 - 1 Rep.
Deportivo de La Coruña 3 – 3 (p) Pontevedra CF 7 Nov 1984 3 - 0 28 Nov 1984 3 - 0 Penalties: 1 - 4 for Deportivo de La Coruña. Elche CF 2 – 3 Real Murcia CF 13 Nov 1984 2 - 1 Rep. 28 Nov 1984 2 - 0 Rep.
Real Sociedad 6 – 1 CD Santurtzi 13 Nov 1984 3 - 1 Rep. 28 Nov 1984 0 - 3 Rep.
Bye: Rayo Vallecano, Deportivo Alavés, CD Alcoyano, Real Burgos CF, Real Madrid CF. CD Alcoyano 0 – 6 Athletic Bilbao 12 Dec 1984 0 - 1 Rep. 9 Jan 1985 5 - 0 Rep.
CD Badajoz 1 – 2 Real Oviedo CF 12 Dec 1984 1 - 1 Rep. 9 Jan 1985 1 - 0 Rep.
FC Barcelona 5 – 1 Real Murcia CF 12 Dec 1984 4 - 1 Rep. 9 Jan 1985 0 - 1 Rep.
FC Barcelona Atlètic 1 – 2 (aet) Valencia CF 12 Dec 1984 1 - 0 Rep. 9 Jan 1985 2 - 0 Rep.
Real Burgos CF 1 – 2 CE Sabadell FC 12 Dec 1984 1 - 0 Rep. 30 Jan 1985 2 - 0 Rep. Match scheduled for Jan 9, but played on Jan 30 due to snow. CD Castellón 4 – 3 CD Logroñés 12 Dec 1984 3 - 0 Rep. 31 Jan 1985 3 - 1 Rep. Match scheduled for Jan 9, but played on Jan 31 due to snow. CD Constància 0 – 3 Sporting de Gijón 13 Dec 1984 0 - 0 8 Jan 1985 3 - 0 Rep.
Hércules CF 4 – 1 CD Estepona 12 Dec 1984 4 - 0 Rep. 9 Jan 1985 1 - 0 Rep.
Linares CF 2 – 2 (p) Deportivo de La Coruña 12 Dec 1984 2 - 1 Rep. 9 Jan 1985 1 - 0 Penalties: 4 - 2 for Deportivo de La Coruña. 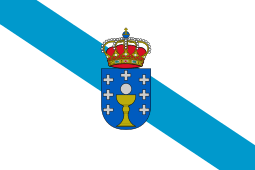 CF Lorca Deportiva 0 – 3 Real Sociedad 12 Dec 1984 0 - 0 Rep. 30 Jan 1985 3 - 0 Rep. Match scheduled for Jan 9, but played on Jan 30 due to snow. CD Málaga 2 – 4 Atlético de Madrid 12 Dec 1984 0 - 3 Rep. 9 Jan 1985 1 - 2 Rep.
CA Osasuna 1 – 5 RCD Mallorca 12 Dec 1984 0 - 2 Rep. 9 Jan 1985 3 - 1 Rep.
Sestao SC 4 – 3 Atlético Madrileño 12 Dec 1984 2 - 0 8 Jan 1985 3 - 2 Rep.
Sevilla FC 1 – 3 Real Betis 12 Dec 1984 1 - 0 Rep. 9 Jan 1985 3 - 0 Rep.
Real Valladolid Promesas 1 – 4 RCD Espanyol 12 Dec 1984 0 - 4 Rep. 9 Jan 1985 0 - 1 Rep.
Real Zaragoza 5 – 2 Real Valladolid Deportivo 12 Dec 1984 3 - 1 Rep. 6 Feb 1985 1 - 2 Rep. Match scheduled for Jan 9, but played on Feb 6 due to snow. Deportivo Alavés 1 – 2 Athletic Bilbao 30 Jan 1985 0 - 0 Rep. 6 Feb 1985 2 - 1 Rep.
RCD Espanyol 0 – 5 FC Barcelona 30 Jan 1985 0 - 2 Rep. 6 Feb 1985 3 - 0 Rep.
UD Las Palmas 1 – 2 (aet) Cádiz CF 16 Jan 1985 1 - 0 Rep. 6 Feb 1985 2 - 0 Rep.
Real Oviedo CF 1 – 4 Real Betis 30 Jan 1985 0 - 1 Rep. 6 Feb 1985 3 - 1 Rep.
Sestao SC 2 – 3 Sporting de Gijón 30 Jan 1985 1 - 0 Rep. 6 Feb 1985 3 - 1 Rep.
Bye: CD Castellón, CD Tenerife, CE Sabadell FC, Atlético de Madrid, Hércules CF, Deportivo de La Coruña, RCD Mallorca, Real Sociedad, Real Zaragoza, Valencia CF, Real Madrid CF. ↑ "1st Round: CD Iliturgi vs Villanueva del Arzobispo CF (2nd Leg)" (PDF) (in Spanish). Mundo Deportivo. ↑ "1st Round: Sporting de Gijón vs Club Siero (2nd Leg)" (PDF) (in Spanish). Mundo Deportivo. ↑ "3rd Round: CE Sabadell FC vs Real Burgos CF (2nd Leg)" (PDF) (in Spanish). Mundo Deportivo. ↑ "3rd Round: CD Logroñés vs CD Castellón (2nd Leg)" (PDF) (in Spanish). Mundo Deportivo. ↑ "3rd Round: Real Sociedad vs CF Lorca Deportiva (2nd Leg)" (PDF) (in Spanish). Mundo Deportivo. ↑ "3rd Round: Real Valladolid Deportivo vs Real Zaragoza (2nd Leg)" (PDF) (in Spanish). Mundo Deportivo. ↑ "Final: Athletic Bilbao vs Atlético de Madrid" (in Spanish). Youtube.